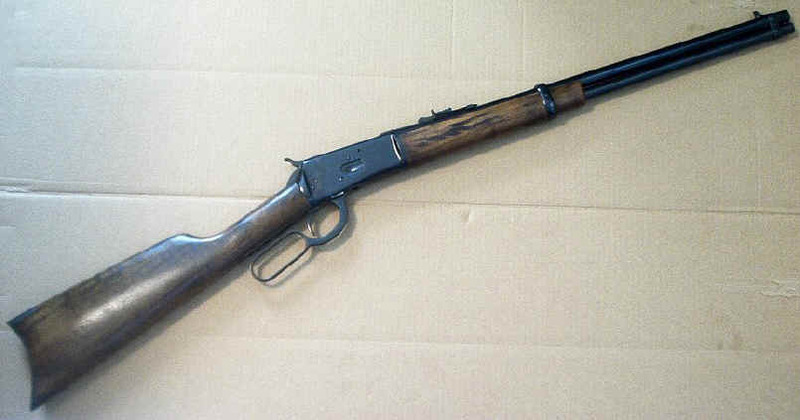 The Model 1892 Winchester was designed as a successor to the Model 1873 Winchester. As an improvement on the 1873's design it was stronger and had many features that were not found on the '73. Basically a scaled-down 1886, the action was sleek, short and smooth. It was well made, functioned very well, was well-balanced and pleasing to the eye. In short, it was a winner! Even though other models were introduced in more powerful calibers the Model 92 hung on right up until WW II. Produced from 1892 until 1941, well over a million were churned out from the Winchester plant in various configurations and calibers with .32-20, .38-40, .44-40 being the most popular. A few were made in .25-20 and some rare ones in .218 Bee. In Spain in 1929 , the company of Gárate y Anitúa made a copy of the Model 92 Winchester in .44-40 called "El Tigre". These were a very close (if not exact) copy of the Model 92. Apparently made by the thousands, these were available in the US in the 1950's and 60's for relatively little money. Chuck Conners carried one in his scabbard on the show "The Rifleman" ... it was used as the saddle gun and for scenes where the gun may get banged around a bit .... saving the more valuable Winchester '92 for the close-up scenes. Amadeus Rossi, SA manufactures its classic rifles in San Leopoldo, Brazil. I find it interesting that they also chose a cat for their copy of the Winchester 92, calling it the "Puma". What checking I did revealed no connection between Rossi and Gárate y Anitúa ... though someone may have more historical insight than I concerning this. 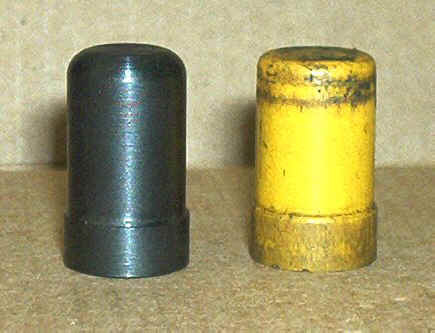 The guns produced since BrazTech took over feature a safety on top of the bolt. This safety is a firing pin block and allows the action to be cycled with the safety on. Available in a variety of calibers the Rossi's have filled a niche in Cowboy Action Shooting. The old Winchesters command a pretty good price these days, even in poor condition. In addition, many of the Winchesters are "soft" ... with it being nearly impossible to get a Rockwell Hardness reading on them. The Rossi's on the other hand "Rockwell" pretty decently. The ones tested by Regan Nonneman recently (http://www.leveractions.com/) averaged out at a Rockwell Hardness of 20. Easy to shoot without a lot of noise, fire, and recoil, sporting a flat trajectory to 150 yards, this is an ideal deer gun for the woods of Missouri. I watched Mike shoot a good-sized (for our area) buck with his one deer season. Mike shot the deer at about 30 yards. It ran for maybe 30 feet and piled up. A Black Hills factory 158 gr. JHP did the job. There is something about the Model 92 that I like. I am not sure just what it is about them, but no other leveraction stirs me like the Model 92. I have Marlin leveractions and they are fine guns. They may even be better than the Model 92 ..... I am sure someone can make that argument. But I prefer the Winchester design. I know some people who are absolutely goofy-eyed over the Model 73's. Others prefer some other type, not even liking the leverguns. It's what makes the world go around. This would be a pretty boring sport/hobby if we all had the same tastes, no? Another of my preferences is to not get hammered by the gun. That did not seem to be as high a priority when I was younger, but these days I prefer a light-recoiling rifle. So when the chance came to pick up a Rossi 92 in .357 Magnum I jumped on it. When the Rossi 92 "Puma" was delivered the first thing that stood out was the wood. It was covered with a black "finish" of some type. It was hard to tell what it was. The second thing that was obvious was the safety on top of the breech bolt with it's pretty red and green F and S. One look and it was apparent - these would have to go! The magazine follower stood out also. It was an ugly yellow plastic thing, nothing like the Model 92 Winchesters had. After running about 150 rounds through the Rossi .. some .38 Specials and some .357 Magnums.. I could see this little carbine had lots of potential. As with any new gun it was going to have to be used some. There were some changes that were going to be made to it - that was a given - but it was decided to take my own advice and shoot it first, then work on it later. By the time over 500 rounds had gone through it the conclusion was reached that it was time to make some changes. The gun was accurate but the trigger pull was awful. It had no creep but was extremely heavy. The action had some stiffness in it and it tended to give a couple problems feeding short .38 Special ammo from time to time. It seemed to shoot well with both .38's and .357's .. .the point of impact changed about 3 to 4 inches in elevation when switching from one to the other but groups were equally tight. Group sizes were comparable with both types of ammo - a good sign. Some of the handloads shot a ragged one-hole at 25 yards with "Cowboy" type loads in .38 Special cases. The first thing done was to lighten the trigger pull and the hammer spring. Several coils were removed from the hammer spring during 3 different tear-downs. I prefer to go slow and take too little off rather than too much. If you elect to do any of this I would caution you to do the same. 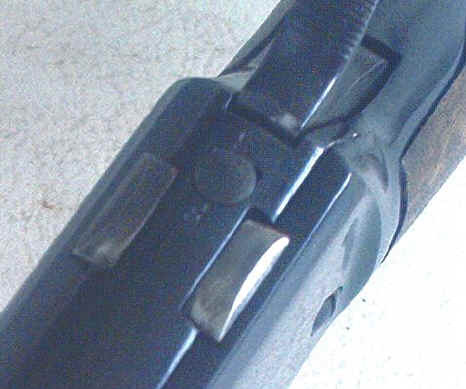 The trigger pull was lightened by inserting a shim under the spring, between the spring and the tang. A piece of plastic cut to the proper width and with a hole punched into it for the retaining screw to go through was used for the shim. The thickness of the shim was doubled later on and this made the trigger perfect for me. Again, go in stages is my recommendation. The stock was replaced with a crescent stock from a .45 Rossi. A friend had an extra and gave it to me. I prefer the classic look of the crescent stock and while it is more punishing on you with a hard-kicking gun, the .357 does not present that problem. 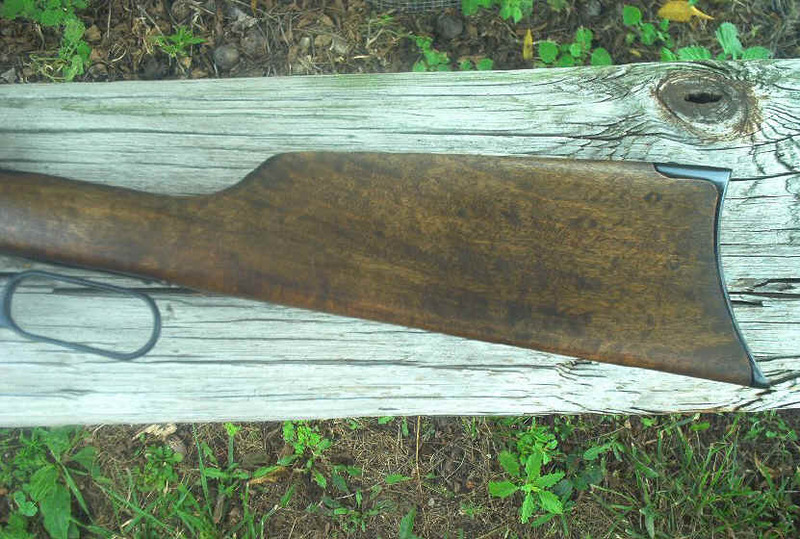 The original "finish" was stripped off the stock and forend using StrypEze and steel wool. Once down to bare wood the stock and forend were cleaned and dried and then an oil finish was rubbed in. To my eye an oil finish is much nicer. Using a fine wood rasp and sandpaper all the edges of the forend were rounded. For some reason the Rossi comes with sharp edges on the wood. With a little rounding the gun begins to more closely resemble what it was copied from. I do not recommend the following. I am only sharing what I did. The removal of any safety devices invalidates the warranty as well as having other implications. The safety was removed from the top of the bolt and the bottom was ground off it with a bench grinder. Enough metal was removed so that even if it got turned somehow it could no longer block the firing pin. Next, metal was removed off the top of the "plug" until it was down close to same height as the top surface of the breech bolt. It was then polished, reblued, and reinstalled. Using a small pick the pretty red and green paint was taken off of the "S" and "F" on the breech bolt and these were reblued also. All in all it does not look too bad. A tight fitting plug that is better finished will be made in the future. Again, if you elect to do this you are on your own. Over the next week and a half a thousand rounds were run through the carbine, most of them light .38 Special Cowboy-type loads. The ideas was to smooth up the action so the gun was taken apart often during this time and changes were made to it. Slow and easy was the plan. Better to do too little at a time than too much. After quite a bit of shooting the gun was cleaned and then looked at carefully - especially all the places where the different parts "interface" .... where they rub together. On the non-critical parts (the sides of the lever, the sides of the hammer, parts of the breech bolt etc.) any burrs were stoned away with a fine stone. I tried not to remove much metal. The idea was to just remove any burrs and polish the surface. The cartridge stop would stick - from time to time - in the "open" position. This allowed a cartridge to snap back from the magazine onto the carrier under the cartridge that was already there. This caused the top cartridge to pop up out of the gun, sometimes completely. It did not happen all the time and it took some detective work to figure out what was going on, but I finally found it. A little work with a file, some "cut and try" time and soon it was working like it was designed to work. To make the action smoother the carrier was removed and the detent on the side of it was taken apart. One coil was cut off the spring and it was reassembled. This smoothed up the opening stroke of the lever a lot. To further add to the operation 1 coil was cut from the ejector spring. This lightened the force needed to close the bolt completely by quite a bit. During this time it was found that the collar that holds the ejector spring was binding on the ejector shaft at the point where the shaft changed sizes. You could see the chatter marks with the naked eye. The ejector shaft was stoned with a fine stone until the size transition was smooth. Then a slight bevel was reamed into the face of the collar. This aided the smoothness of closing the bolt by quite a lot. A note here.. not all Rossi's examined have the problem with the the collar binding on the ejector shaft. Mine did. By chance I found a website where Model 92 parts could be purchased and I ordered a steel magazine follower to replace the ugly yellow plastic thing that comes in the Rossi's. Bob Knapp .. "Winchester Bob" http://winchesterbob.com/ has a neat supply of parts for the Winchester Model 92's ... many of which will fit the Rossi 92's. 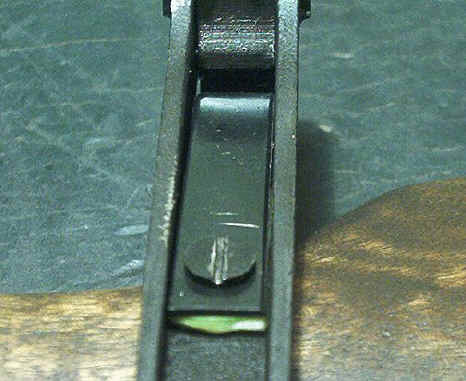 We found that on the .38/357 Rossi the magazine follower for the .25-20/.32-20 Winchester Model 92 is just right. It is the same diameter and length as the plastic thing the Rossi's use. It is a tad smaller on the inside, but I was able to easily "thread" the magazine spring into it. It works fine and looks so much better than what the Rossi factory used. Winchester Bob is compiling a list of Winchester parts that will interchange with the Rossi, so those of you with Rossi leverguns will want to bookmark his website. For those of you who have original Winchesters, Bob is an excellent source for hard-to-find parts. The loading gate was pretty stiff making it easy to get "tired thumb" when shooting and loading the magazine a number of times during one shooting session. When the gun was torn down about the 3rd time I removed the loading gate and spring and "de-tensioned" the spring. DO THIS IN EASY STAGES! It is a flat spring and you can easily over-bend it the wrong way. A little goes a long way here. With careful work the force required to open the loading gate was changed to where it has about half the tension that it came with, making loading the magazine a much easier chore. The above modifications did not make the Rossi any more accurate, but did aid in running the gun fairly fast. Practicing throwing it up, putting the front sight on target and levering it as fast as I can, learning to make hits at the same time has been fun, but it has kept me busy handloading. I think I have loaded more ammo in the last month than I did all last year! The UPS man has been kept busy delivering heavy packages to the door. One shipment of bullets weighed 72 pounds! While I have fired Magnum loads through the gun I have mostly concentrated on shooting Cowboy loads .. lighter loads in the 800 to 900 fps range. Most of the shooting has been with the hollow-base wadcutter ... fed single shot. These are as quiet as a .22 and absolutely great for practicing throwing the gun up, acquiring the target and hitting it fairly quickly. The only problem, as previously stated, has been in keeping up with the reloading. It is really easy to run through 700 to a thousand rounds a week. 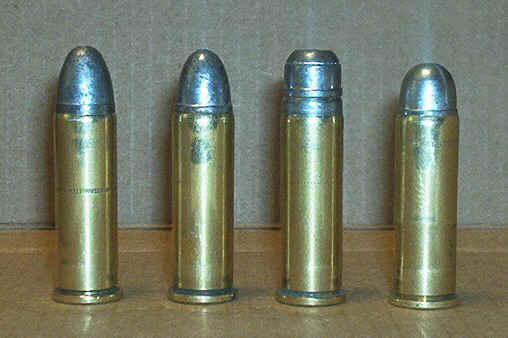 The bullets used in the Rossi are from several sources: Dry Creek Bullet Works, Lock, Stock & Barrel, Mid-Kansas Cast Bullets, and some from one of the readers of the website, Eric Hudson. I traded a bullet mould to Eric for a thousand of his round-nose 158 gr. bullets. I told him I would try them out and if I liked them I would mention him in an article. He had plans of making bullets for a hobby/part-time income, offering them to shooters around the country through the internet and by other means. All his plans have been put on hold. As of Aug. 12th he was recalled to Active Duty to help Operation Enduring Freedom. Keep Eric in your thoughts and prayers .. along with all the other men and women who serve our country. When he gets back .. if he still wants to make bullets, I will do what I can to help promote them. He is one of the good guys. Lynn Halstead of Dry Creek Bullet Works questioned me as to the use of the "pointed" bullets in the magazine tube of the levergun. While I am not recommending that anyone use them, I have had no problem with them setting off the cartridge ahead ... though the chance does exist that they may do so. I ran some tests to see if I could get one to fire a primer and so far have not been able to do so. That does not mean it cannot be done. So far my reloads with these bullets low-velocity loads only .. which means low recoil. So far they are working OK. If you try it and blow the magazine off your gun .. possibly with parts of your anatomy .. please do not come around trying to say I said it was OK to do so. The use of anything but flat-nose bullets in a leveraction magazine is NOT encouraged. The RNFP (round-nose flat-point) bullets are THE ONLY bullets recognized as safe to use in leveraction rifles. Accuracy even with the short .38 Special cases has been excellent. I am impressed with the barrel on the Rossi. Almost anything I have fired through it has shot very well for me. So far all I have used the Rossi on is a running coyote at about 15 yards. I had the levergun loaded with 140 gr. Cor-Bon JHP's and it was no contest. The coyote lost. So what do I think of the Rossi after having run lots of ammo through it? It dang sure fits what I was looking for.... a light fast-handling little carbine that can be used for plinking, Cowboy Action, varmint shooting, big game hunting or as an Urban Stop-Assault Rifle. I don't think a person can go wrong with one ... whatever caliber you choose.